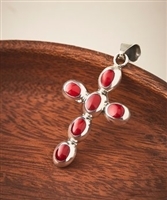 Bring an encouraging touch to your jewelry box thanks to this sterling silver cross pendant. Over lap sterling silver and bronze pendant. Ready to be strung on your preferred chain, this glittering sterling silver pendant is embellished with small filigree-inspired details and a vibrant green stone. In touch with nature with this pendant's blossoming flower design that comes to life with the enduring gleam of sterling silver. Polish off your ensemble with an artistic touch by adding this playful sun sterling silver pendant. 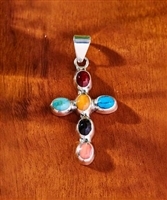 Expand your jewelry box with a shining statement by adding this charming sterling silver cross pendant decorated with a cheerful pop of color. 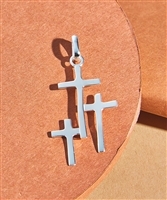 With bold pops of color, this sterling silver cross offers a chic accent to your favorite chain. 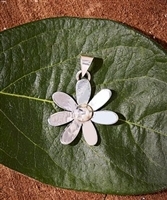 A touch with nature with this pendant's blossoming flower design that comes to life with the enduring gleam of sterling silver. This pendant's mesmerizing abalone accent and the alluring gleam of sterling silver. A pop of color accentuates the intricate lines and timeless glimmer of this sterling silver pendant. Expand your jewelry box with a shining statement by adding this charming sterling silver layered oval pendant decorated with a cheerful pop of color. 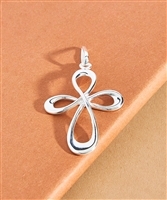 The sleek, looping design of this cross pendant boasting shimmering sterling silver for a timeless accent to your collection. 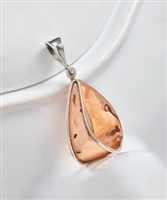 Expand your jewelry box with a shining statement by adding this charming sterling silver layered teardrop pendant decorated with a cheerful pop of color. 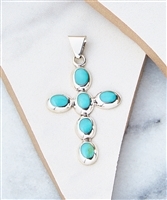 Decorated with vibrant stones, this gleaming sterling silver cross pendant allows you to keep an elegant symbol of your faith close to your heart. These shimmering sterling silver bangles you can wear either single or stacked, show-stopping shine to your wrist.